*I'm new here* I am loving the look of this!! wonderful job! *Master in the kitchen! * Wonderful photos, gorgeous colors and page design!! *Master in the kitchen! 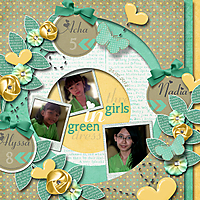 * Love the circle design and how all the elements are placed around the circle. *Master in the kitchen! * This is such a unique and wonderfully done lo (will lift this eventually). Love the cut out circles running down to the base layer. Wonderful cluster work and love the tags. *Master in the kitchen! * Congratulations! Your LO has been nominated for LOTW Go Vote!! *Master in the kitchen! 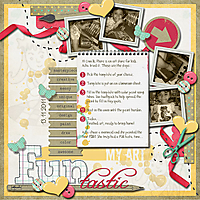 * Gorgeous layout!!! I love the circle cutouts & the identifying labels & all the circles. congrats on the nomination. *Master in the kitchen! * Congratulations! Your LO won LOTW! !